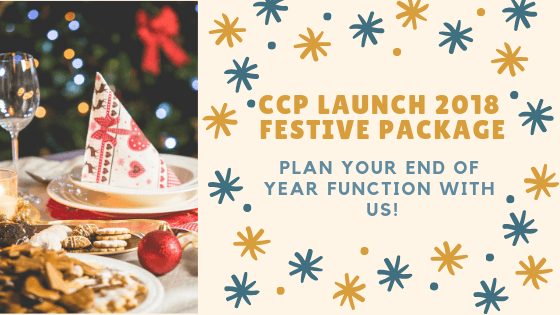 CCP are thrilled to launch our 2018 Festive Package! Have you planned your Christmas Party? Not sure what to do for a Staff Party? Or even an end of year send off with friends? 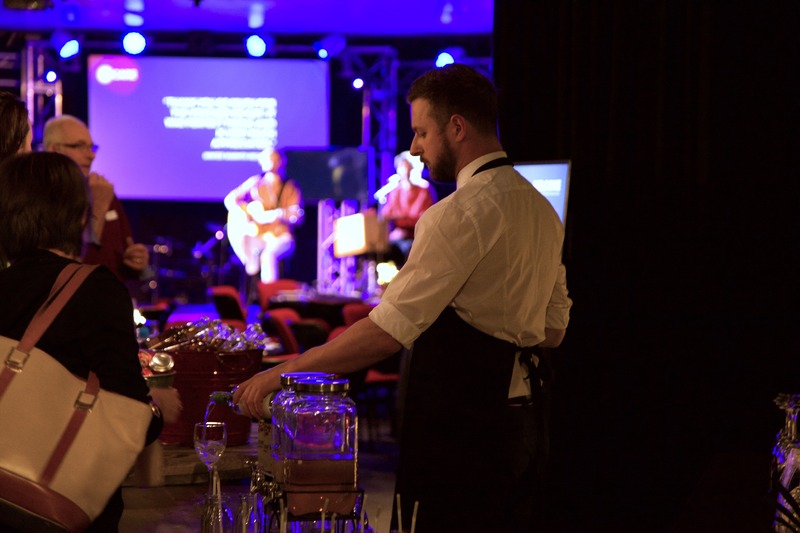 CCP can cater for the perfect Festive Party to send off 2018 with a bang. Get in touch to book your End of Year party with our Festive Package now! CCP love parties, especially a festive party! Let us plan the perfect festive party with you! We can host your group in one of our adaptable venues, or we are mobile so can easily arrange to cater in your choice of venue, with a Festive Package to suit! Our Festive Package features four beautiful menus, designed for different budgets, styles and of course, with different special festive recipes and meals. As a result, we’ve gone the whole hog on everything festive. First of all, think bonbons, rum balls, fruit mince pies and even White Christmas Gift packs. If you’ve been dreaming about your favourite festive meal all year, we’ve got you covered! With either plated meals or buffet options, our packages feature classic festive meals such as Honey Baked Leg Ham, Warm Roasted Turkey Breast with Cranberry Sauce & Tender Roasted Beef Rump with Redcurrant Pepper Gravy. Not to mention these morish mains are served with lashings of Roasted Vegetables, Broccoli & Cauliflower Au Gratin or a range of beautiful fresh salads. Such as the gorgeous and fresh Mediterranean and classic creamy potato salad. Furthermore, if you’re more of a sweet tooth, we’ve got you. 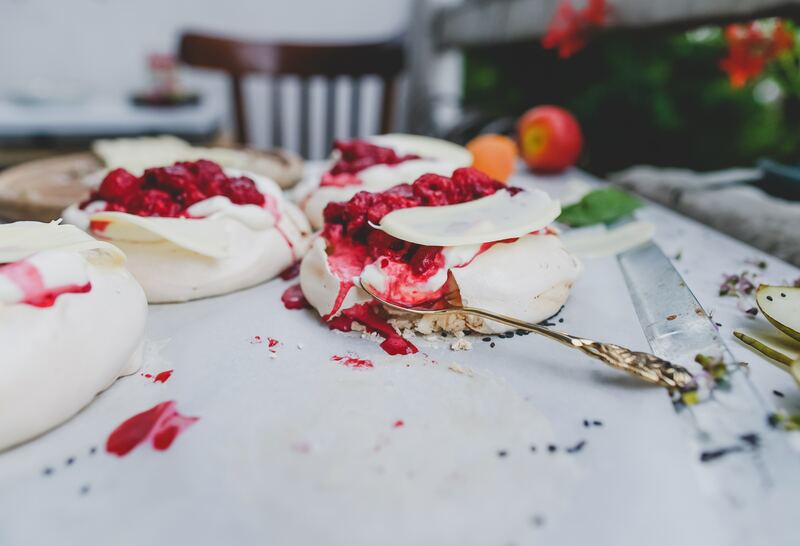 From traditional Rum Balls & fruit mince pies to delectable Pavlova with fresh cream & Strawberries. Or for the traditionalists a perfect plum pudding with brandy custard. Keep that sweet tooth at bay with our beautifully styled and deliciously delectable desserts. Finally, why not add some bubbles and beer to your Festive Package by enquiring about our Pop Up Bar? Our friendly and professional staff would be happy to pop the bubbly at your end of year event. Please get in touch for prices now! Have your own menu in mind? Even more interested in something from our 2019 Catering Package? Certainly, we’re happy to cater for any event! 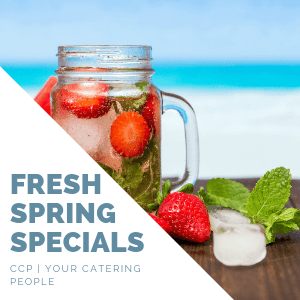 Get in touch now to speak with our friendly catering team.